Canadian actress Ana Golja who is well recognized for her role as Zoe Rivas on the popular teen series Degrassi: The Next Generation and Degrassi: Next Class. She played Ariana Berlin in the 2015 movie Full Out. 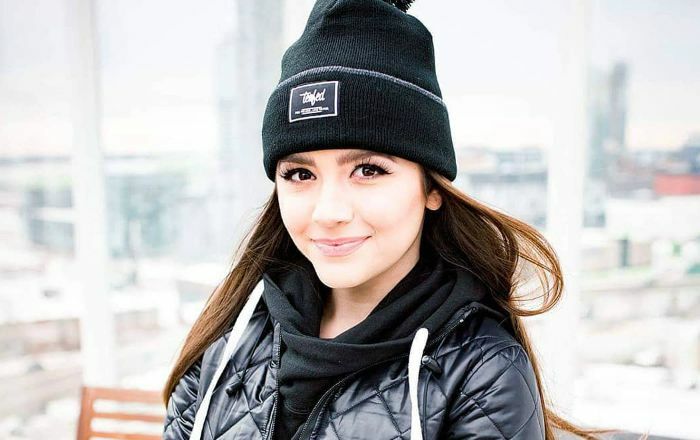 Ana Golja was born on 31 January 1996, in Mississauga, Ontario, Canada. Ana Golja has been dating Canadian actor Eric Osborne for five years now from 2013. Ana and Eric share a strong bonding but they prefer to keep their relationship away from the spotlight. Prior, she was in a relationship with American actor Sterling Beaumon in 2011. Ana had her break in the big screen with the Canadian movie En Vogue Christmas for her role as Amber. The following year, she acted in the film Full Out: The Ariana Berlin Movie as Ariana Berlin, which earned her fame and rave reviews. In 2005, Ana Golja had her first television role as Lucy in the TV criminal drama series 1-800-Missing. Ana Golja released her debut EP titled Epilogue over the course of several weeks in November and December 2017. She also recorded a soundtrack for the film, Full Out in 2015, in which she played the title character. For her role as Zoë Rivas in the teen drama series Degrassi: The Next Generation from 2013 to 2015 and its spin-off series Degrassi: Next Class from 2016 to 2017. There is no information related to her salary and net worth. She is vert proficient in Albanian. Ana is an accomplished dancer and knows various dance forms such as ballet, tap, jazz, hip-hop, Latin, ballroom. She cites her girl crush on Angelina Jolie, Margot Robbie, Barbara Palvin, Candice Swanepoel, and Selena Gomez. She has a pet dog, Coco. Ana received Canadian Screen Awards nomination for her role as Ariana Berlin, in the TV movie Full Out: The Ariana Berlin Movie.